Strong in the region. Internationally successful. Since 1963. 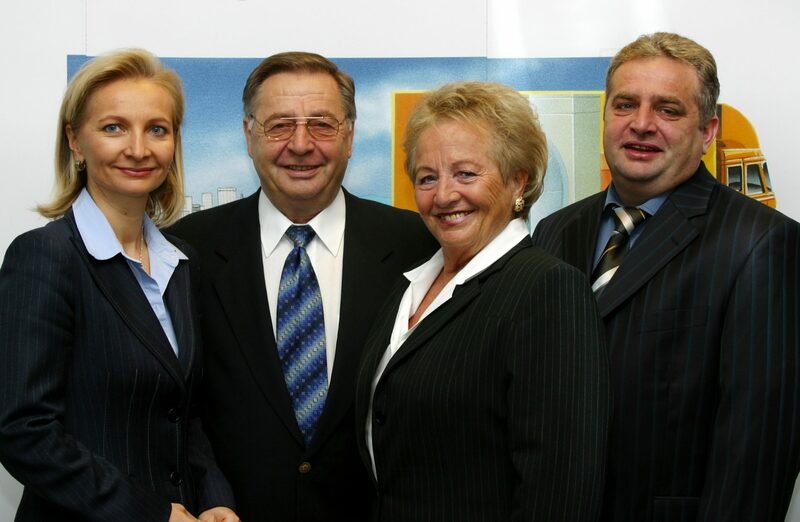 Rabmer Group is a 2nd generation Upper Austrian family business – founded in 1963 by Josef & Maria Rabmer and managed since 2002 by their daughter Ulrike Rabmer-Koller. We look back on a long history, stand on a solid foundation and continue to develop consistently. We combine tradition with ongoing innovation, regional roots with international success. Our areas of activity include: Environmental Technology, Civil Engineering, Construction, Building Renovation, Timber & Carpentry, Painting & Floor Coatings, Real Estate, Earth Movements & Transportation, and Municipal Services. The highly trained employees and our many years of know-how form the basis for satisfied customers and our sustainable corporate success. Our company stands for: quality, competence, innovative solutions, flexibility and absolute reliability. What we do. What we stand for. Who we are. Qualified, creative and valued employees, who work with a high degree of personal responsibility, decision-making authority and a wealth of experience, form the basis of our success. We have long lasting experience and know-how. 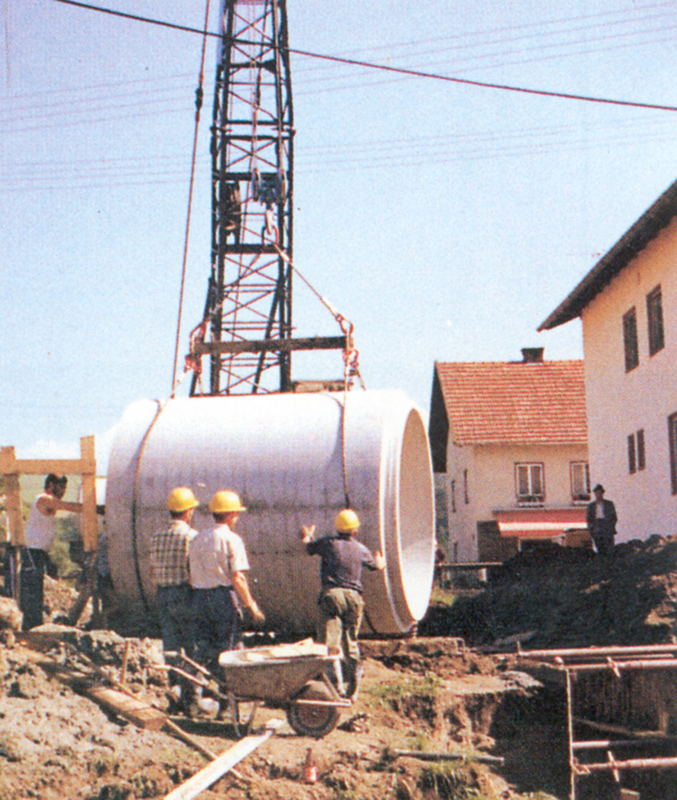 Since 1963 we are active in construction and in 1984 we have started in the environmental sector. Our knowledge management ensures that more than 55 years of experience feed into the professional implementation of each individual project. We combine tradition with innovation. Being innovative means more than just putting an idea into practice. Continuous development in the individual business units has made us what we are today: an innovative company with tradition. The products and services we use for the realization meet the highest standards in terms of quality and functionality. The company has been certified according to ISO standard since 2006. Rabmer stands not only for the highest quality, but above all for a good cooperation – with customers, suppliers and stakeholders. From consulting and planning to the realization of your project – we develop customized solutions. For our customers, employees, partners & our environment. Rabmer Group is committed to fair competition and social responsibility towards people and the environment. 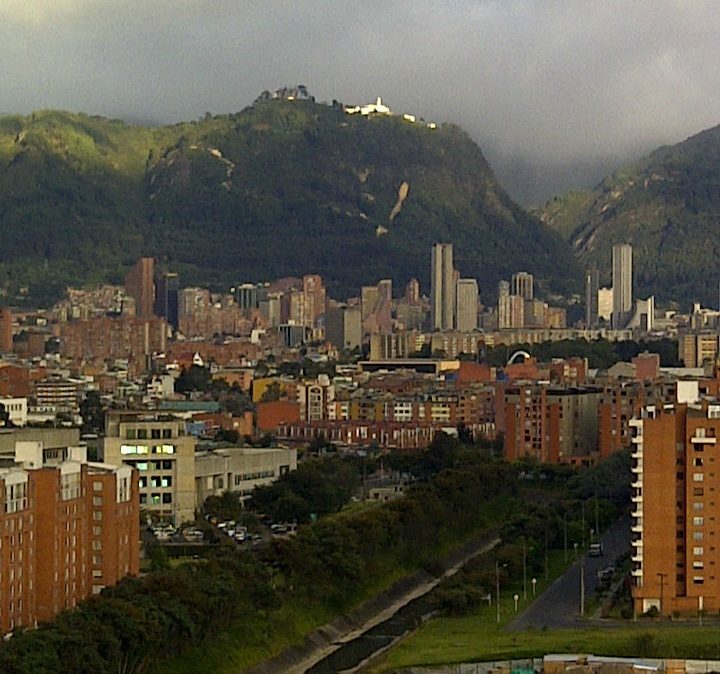 We take measures for occupational, health and environmental protection. We only process products that convince ourselves and act responsibly, professionally and safety-oriented. 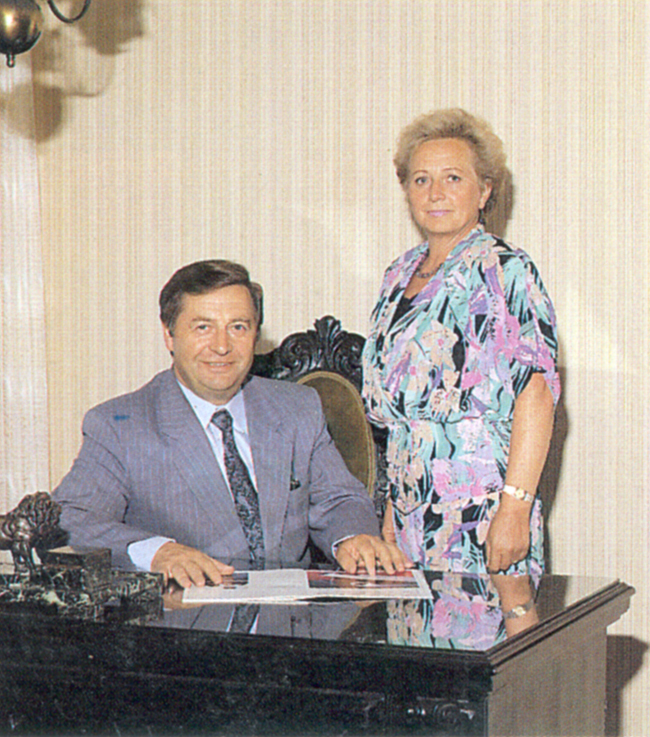 Josef and Maria Rabmer found the company and employ two people. In the early years, earthmoving, transport, river regulation and drainage are among the main areas of activity. 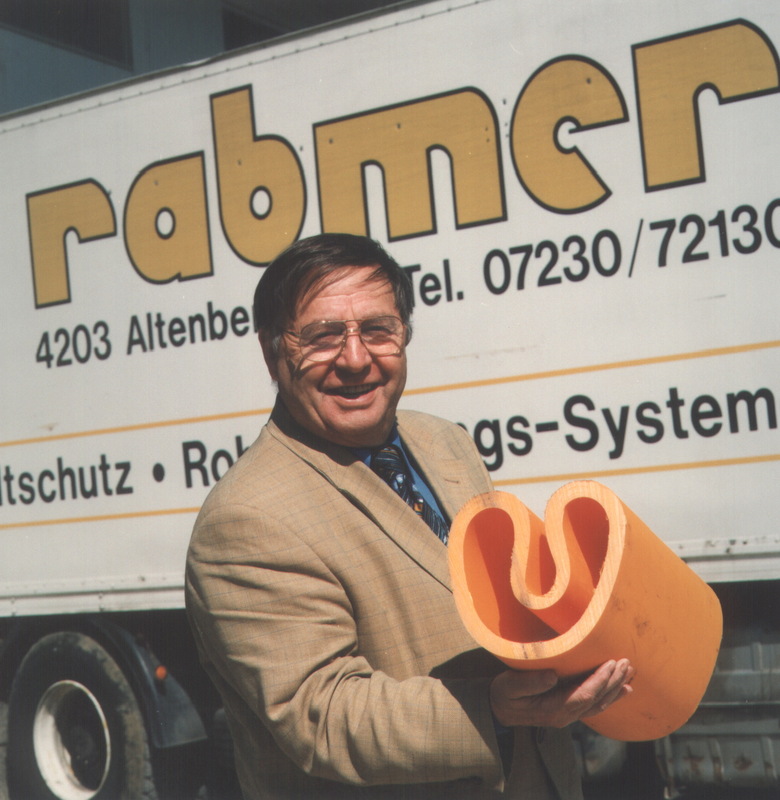 Very soon Rabmer shows a sense for innovation and is the first company in Austria to work with a special drainage bead, with which drainage can be dug and pipe laid in a single step. This construction sites were carried out throughout Austria and Germany. 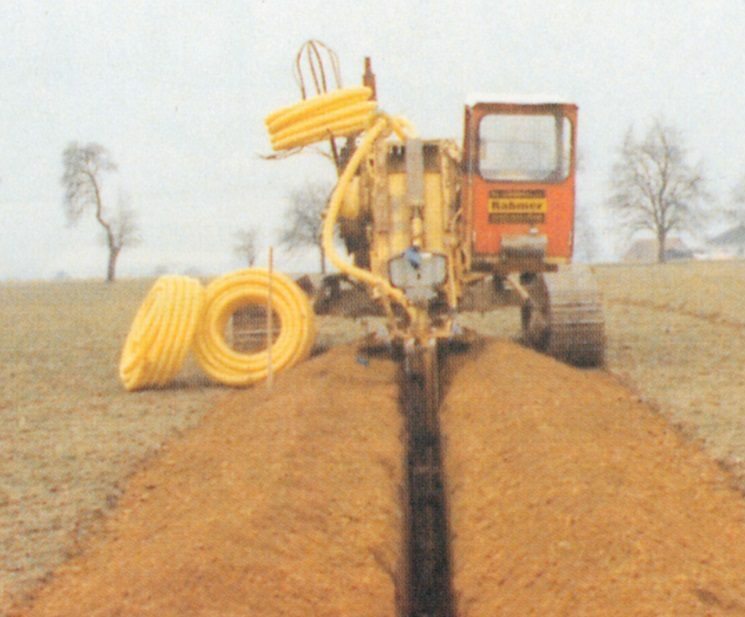 Rabmer begins with the construction of water and irrigation pipes, canals, hatches and cable laying. In the following years, this area becomes for many years the main area of the company - numerous construction sites throughout Austria were built. Rabmer was famous to find even for the most difficult projects an optimal solution. 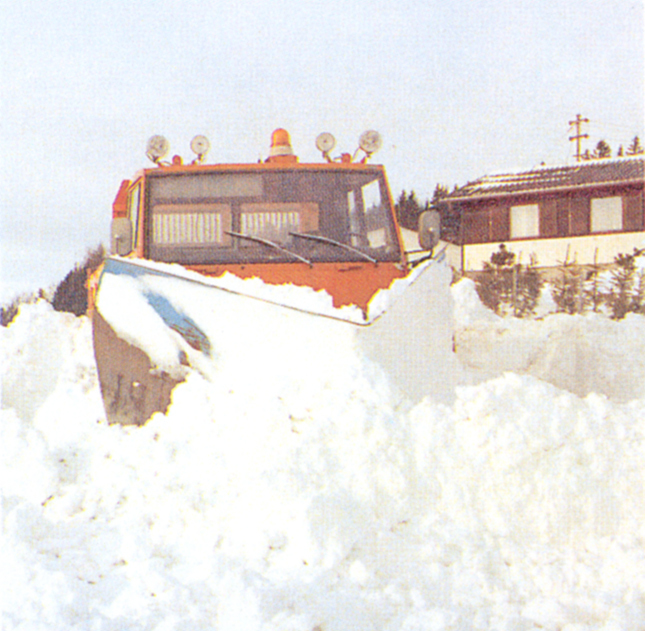 Rabmer extends the offer to the municipal area and takes care of snow clearing and scattering. Further services such as manhole lifting and trenching follow. Rabmer enters the construction of containers and formwork as well as the building materials trade. A short time later, building construction is becoming a central activity. Under the motto "Everything from a single source", this area is being steadily expanded - Rabmer is developing into a regional specialist for building construction. Rabmer recognizes the importance of environmental protection at an early stage and started with environmental technologies for water and wastewater. At that time Rabmer also presented the first TV inspection camera for pipelines in Austria. Thus, it was possible to determine the exact location and type of damaged areas in non-accessible lines. Rabmer is again showing a pioneering spirit and is launching technologies for excavation-free pipe rehabilitation. With enormous innovative power, new processes and materials are developed and highly complex projects mastered. 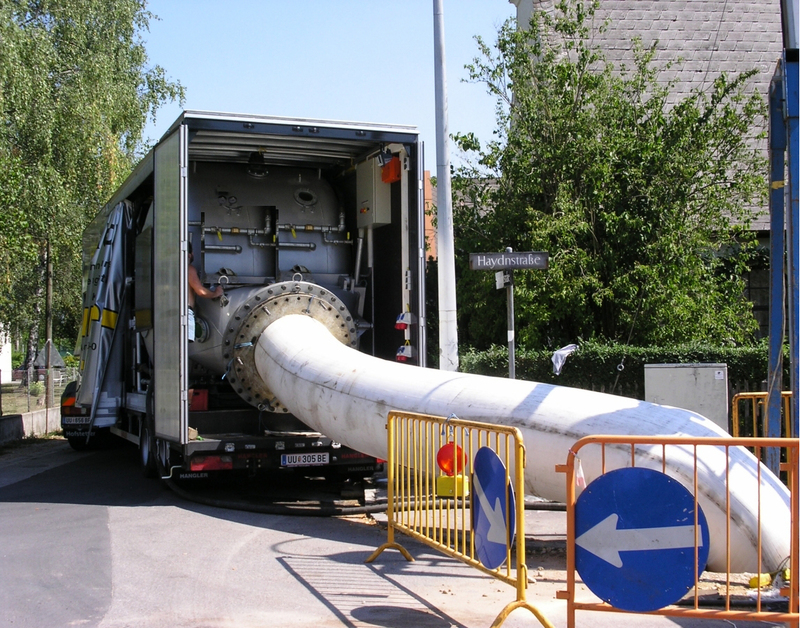 Rabmer becomes a pioneer and leading provider of pipe rehabilitation technologies in Europe. Rabmer soon realizes the chances of opening of the East and starts with construction sites abroad in Hungary, the Czech Republic and Poland. Gradually, the inquiries pile up and in the following years subsidiaries are founded in Hungary (1992), the Czech Republic (1994) and Italy (1999). Rabmer extends its offer to timber construction and carpentry. Together with the carpenter Gottfried Riener, r & r Holzbau is founded. 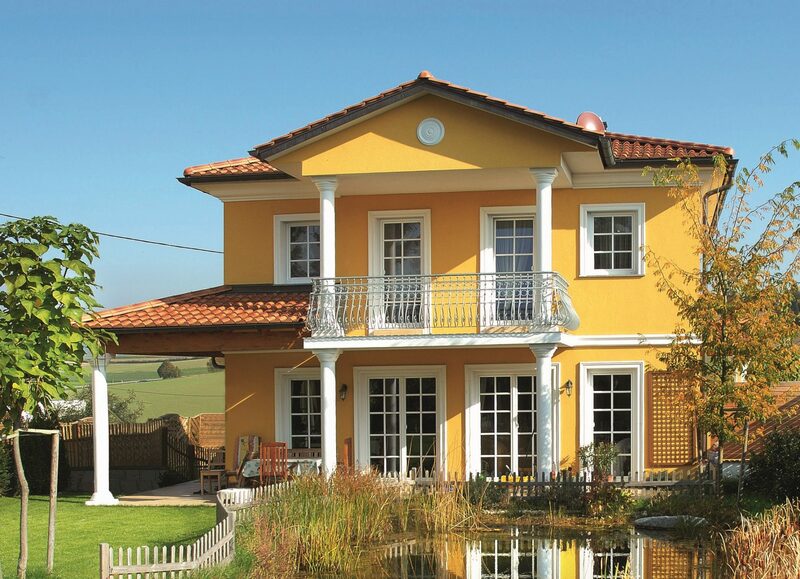 The company offers the following services: roof trusses, roofs in various designs, dry and loft conversions, ceiling and wall structures made of wood, wooden facades, wooden terraces, balconies, annexes and additions, various objects made of wooden elements, such as garden sheds, carports, pergolas , Wooden houses & halls. Once again, Rabmer Group will become a full-service provider in the regional construction sector. The company founders Josef and Maria Rabmer retire as shareholders and from the management. They hand over to the next generation, the siblings Josef Rabmer jun. and Ulrike Rabmer-Koller, who have been with the company for many years. The environmental technology sector is being stepped up - Rabmer is gradually expanding this business area to include Central and Eastern Europe. 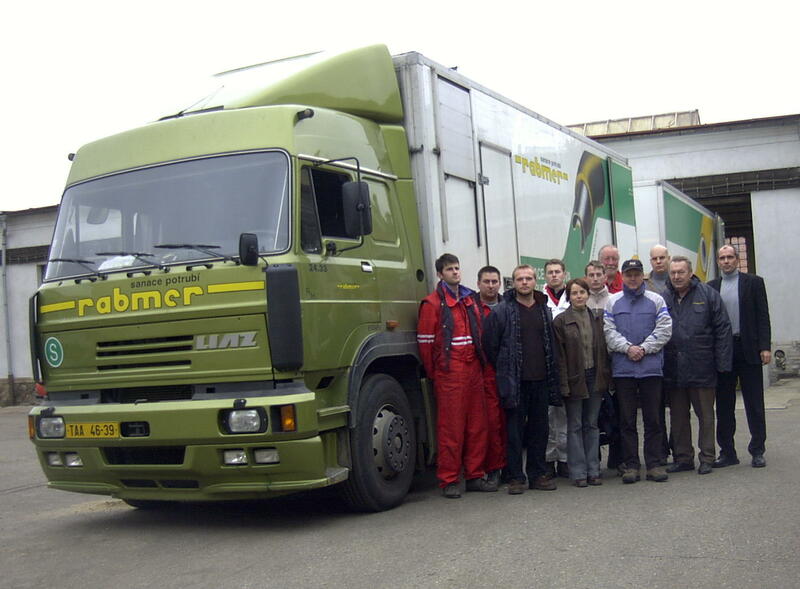 Further subsidiaries in Romania (2002), Ukraine (2002) and Slovakia (2003) are founded and many challenging projects in the former East are handled. Rabmer, together with a Turkish partner, has secured a major order in Istanbul and has set up a permanent establishment on site. 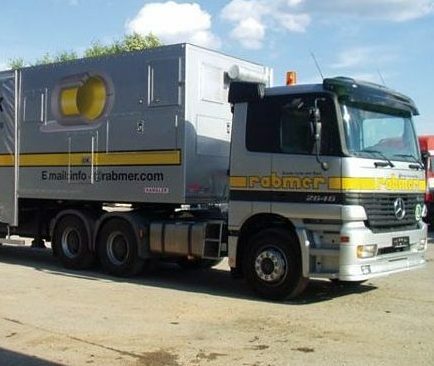 Further orders followed and so Rabmer led in the consortium until 2010 a total of 4 major projects with a volume of approx. 36 million Euro in Istanbul. Mag. 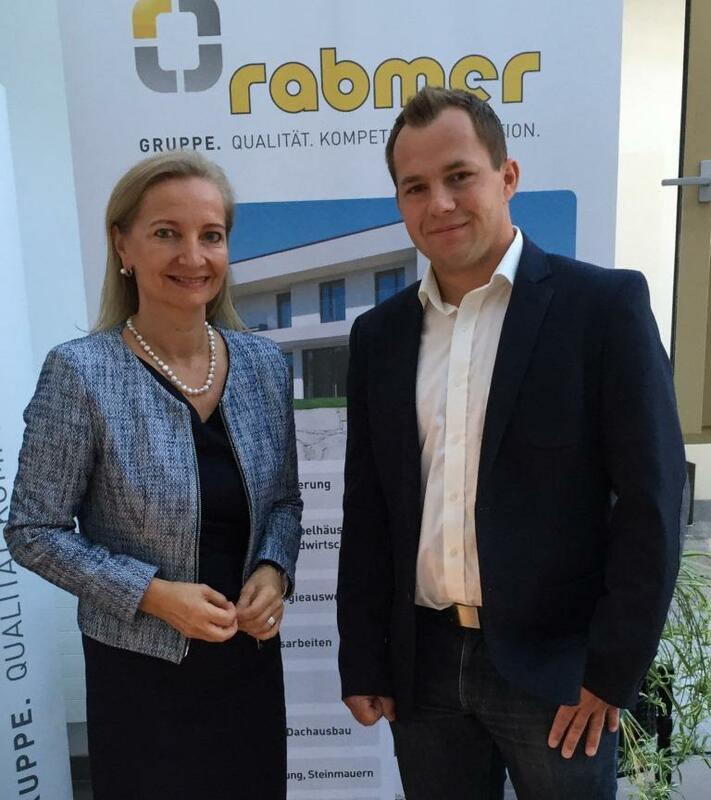 Ulrike Rabmer-Koller takes over the sole management of Rabmer Group. 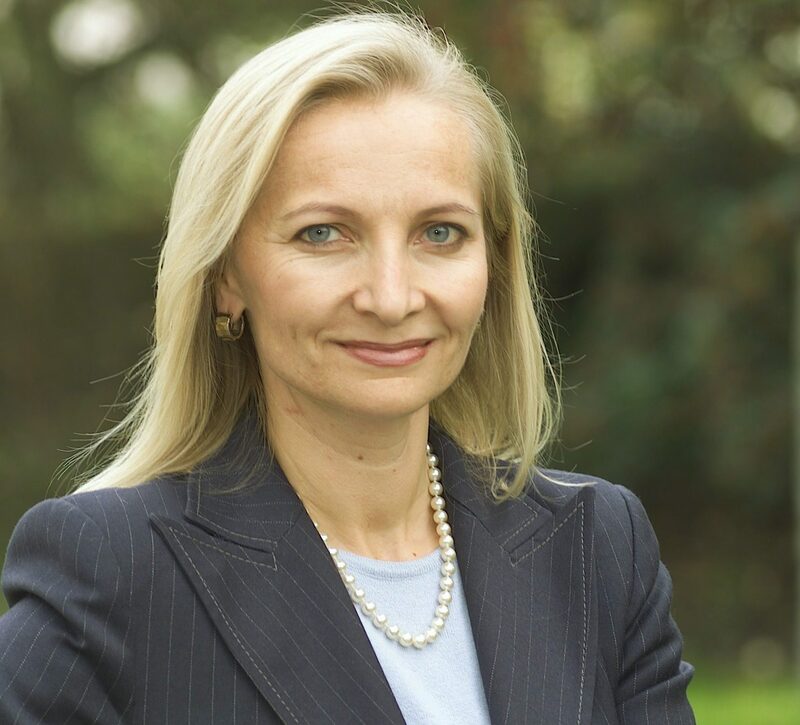 She has been working for the company since 1989; in 1992 she took over the commercial management; in 1996 she became a co-partner and single Proxiholder. From 1999 she took over management functions of individual subsidiaries; since 2002 she was co-managing director of the holding company. Rabmer winns the 2nd place in the MOE Award 2006, the most important Company award in the new growth regions. Managing Partner Mag. 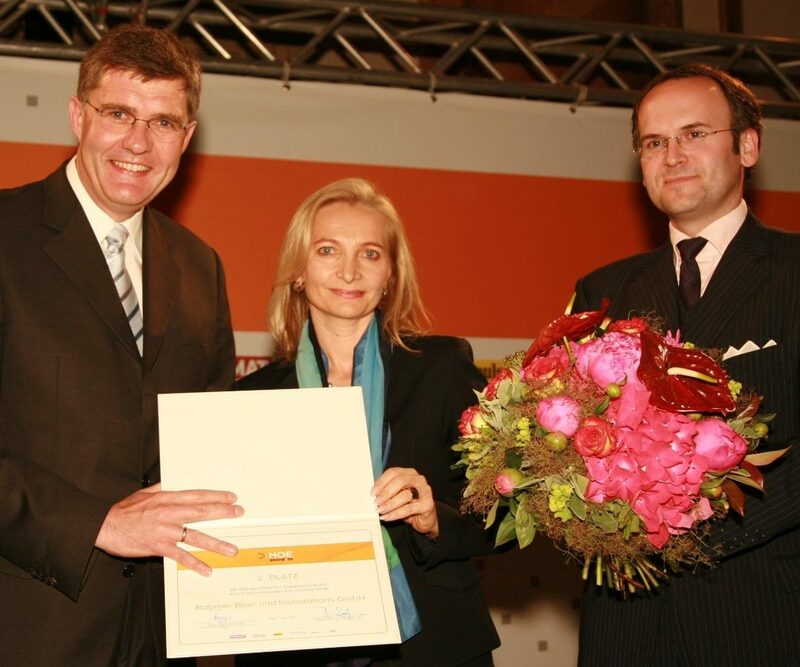 Ulrike Rabmer-Koller accepted the award in Vienna. With this price medium-sized companies that have successfully exploited opportunities in the new markets of Central and Eastern Europe are awarded. HypoVereinsbank spent the MOE Award 2006 in cooperation with the German medium-sized business magazine impulse and with the support of the Austrian business magazine FORMAT. Rabmer is the only small and middle enterprise among the laureates and was able to assert itself despite strong competition (1st place company Meggle from Germany with 1.704 coworkers, 3rd place company Kirchhoff likewise over 1000 coworkers) very well. 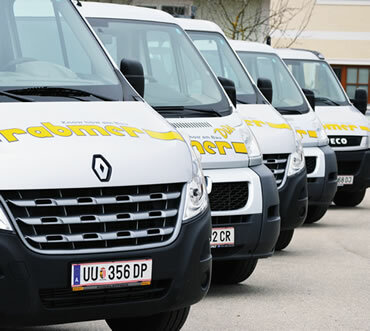 Rabmer founds another subsidiary in Croatia. In addition, the interantonal trade in environmental technology products will be further developed by an separate company r.tec and Rabmer will not only carry out projects, but will also subsequently grant licenses for self-developed technologies, supplying materials and equipment throughout the European area, as well as in overseas markets such as: Hong Kong, Singapore, India, Canada, Russia and Columbia. Responding to the growth of Rabmer Group, the core business in local construction sector was incorporated into independent companies. This creates a good basis for further growth in this area. In building construction, renovation of old buildings and real estate development are added to the portfolio. The pipe rehabilitation division becomes a separate branch of the company. Another subsidiary was founded in Germany. 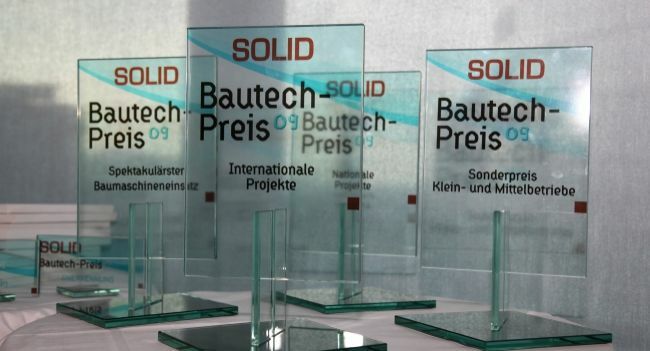 Our submitted project "Excavation-free rehabilitation of the water supply network of the city of Bydgoszcz in Poland with the innovative r.tec w2 liner" was awarded the grade "Very Good" and despite strong competition took 3rd place in the SOLID Construction Prize 2008. Mag. 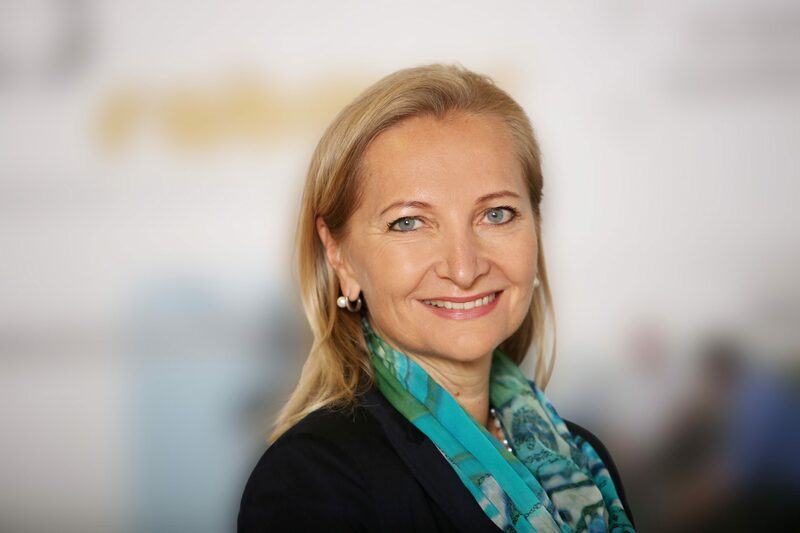 Ulrike Rabmer-Koller takes over 100% of the established core business of the Rabmer Group. The pipe rehabilitation branch was outsourced and Josef Rabmer jun. sells its shares of this to the Company Sekisui. Mag. Ulrike Rabmer-Koller now leads the family business Rabmer into the future as the sole shareholder and managing director in 2nd generation. 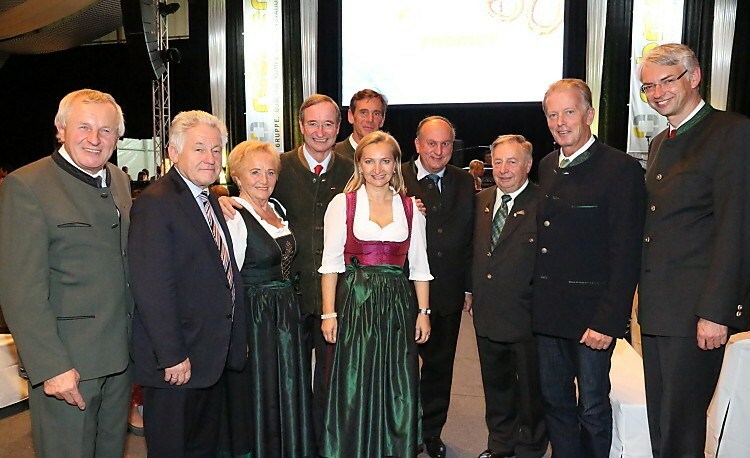 50 years of entrepreneurial success were celebrated with employees, guests of honor, customers and suppliers at a big Oktoberfest. Among the well-wishers were u.a. Minister of Economics Reinhold Mitterlehner, Governor Dr. Josef Pühringer, Governor Deputy Franz Hiesl, Economic Landrat Dr. med. Michael Strugl, WKO President Christoph Leitl, WKOÖ President Rudolf Trauner, WKO Secretary General Anna Maria Hochhauser, WKOÖ Director Deputy Walter Bremberger, EU Parliamentarian Paul Rübig, OÖ community federation president Hans Hingsamer, the Altenberger mayor Ferdinand Kaineder and many companions and friends of Rabmer. In cooperation with the Altenberg Painter Michael Pfarrhofer we founded the R & P painting GmbH. Thus, we extend our range of services in the construction sector by the following activities: painting in the interior and exterior, facade design or facade renovation including full thermal insulation, the installation of plasterboard walls, indoor thermal insulation and floor coatings. 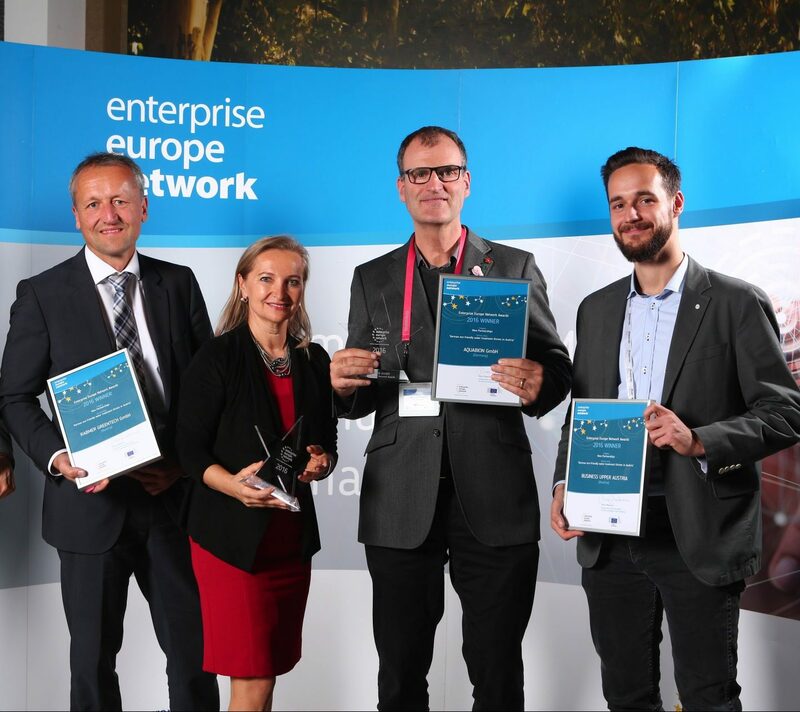 Rabmer wins the European Enterprise Europe Network (EEN) award in the New Partnerships category. 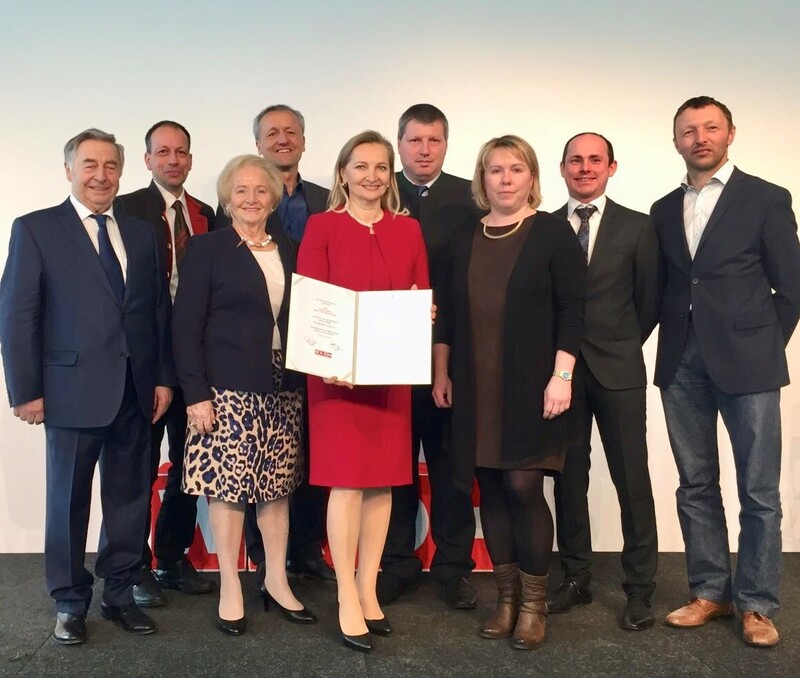 In front of around 800 guests, we were honored in Bratislava together with our German partner, the Aquabion GmbH from Düsseldorf, for outstanding cross-border cooperation. 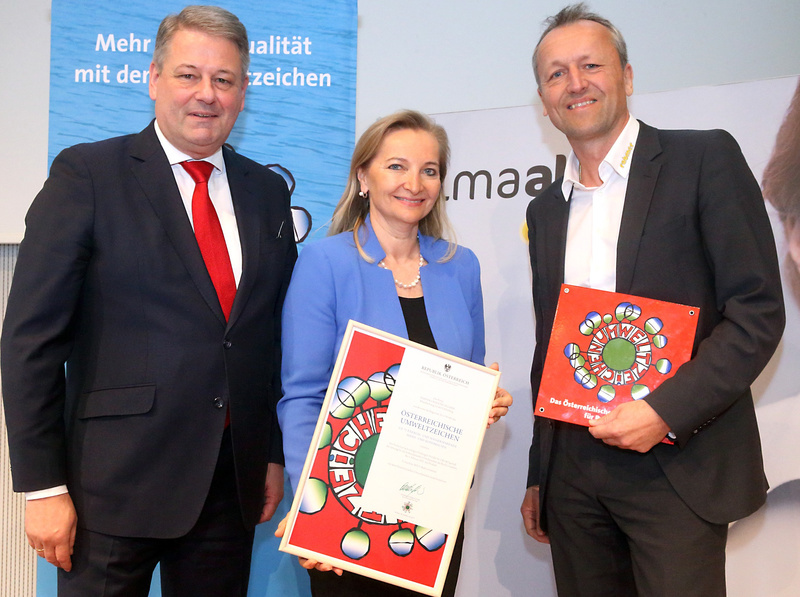 Rabmer receives the Austrian Federal Environmental Label. This was handed over on the sidelines of the energy saving fair by Minister of the Environment DI. Andrä Rupprechter to managing partner Mag. Ulrike Rabmer-Koller and division manager GreenTech Mag. Klaus Pichler for the "ECOTURBINO - water saving system for the shower" presented. The Austrian Ecolabel has been a reliable guide to green purchasing for over 25 years and guarantees environmentally friendly products and services. 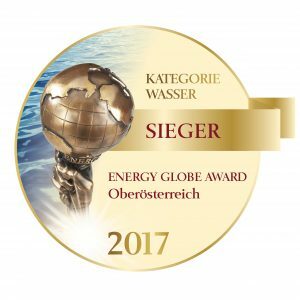 Rabmer wins the ENERGY GLOBE OÖ AWARD in the water category for the ECOTURBINO water saving system for the shower. The coveted prize was received by the managing director Mag. Ulrike Rabmer-Koller and the Rabmer GreenTech division manager Mag. Klaus Pichler during the award ceremony at the company Holter in Wels. 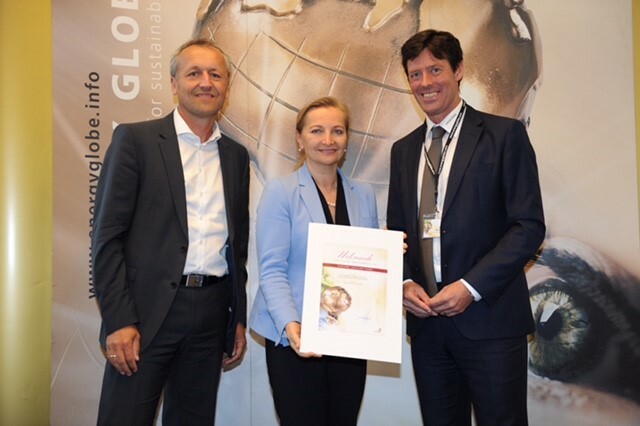 The Energy Globe Award is one of the world's most prestigious environmental awards and once again confirms our innovative approach to environmental technologies. The ENERGY GLOBE Award was founded in 1999 by Austrian energy pioneer Wolfgang Neumann and is today the world's most prestigious environmental award. Award of the professional title Kommerzialrat to the Managing Partner Mag. Ulrike Rabmer-Koller for her achievements as an entrepreneur and her engagement in the representation of interests at regional, national and European level. 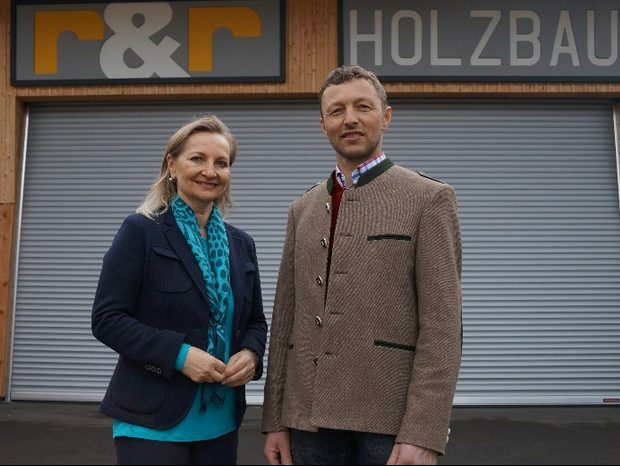 R & R Holzbau expands the company location. 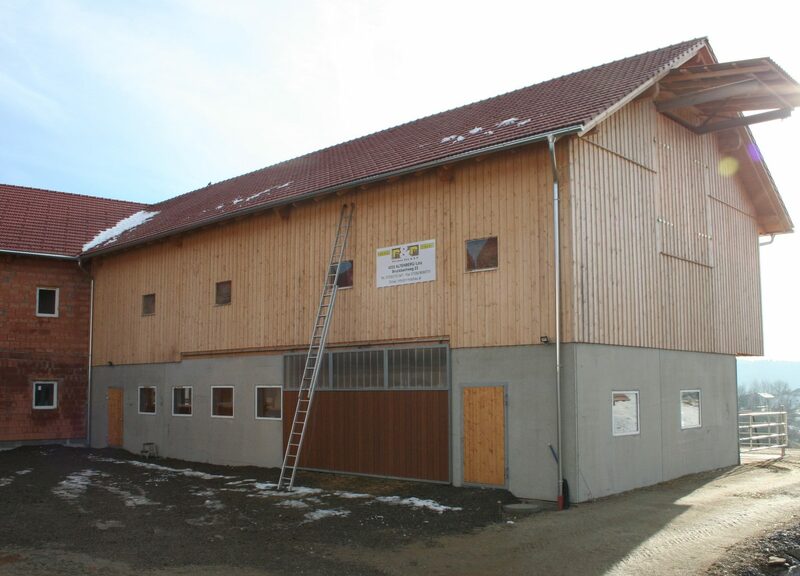 Founded in 2000 by the Altenberg master timberman Gottfried Riener and the Rabmer Bau Gruppe, r & r Holzbau GmbH has developed into a competent solution provider for timber construction services of all kinds. Wood as a sustainable building material is in ever greater demand, and thus r & r Holzbau continues to grow. For this reason, investments have now been made in a 700 m2 hall at the Rabmer Group site. Of course it is made of wood and is a showpiece for the hall construction of the r & r. Heated with wood chips and wood waste from the carpentry and building construction. The opening of the hall took place on the occasion of the memorial day of, Saint Joseph, patron saint of carpenters with a blessing and an evening of folk music with the Oberbairinger Kinderschuhplattler instead. The net proceeds of the event will benefit a social project in Altenberg. We are looking for people who want to have a say in the future of the Rabmer Group with their ideas, experience and personality. We are happy to hear from them!